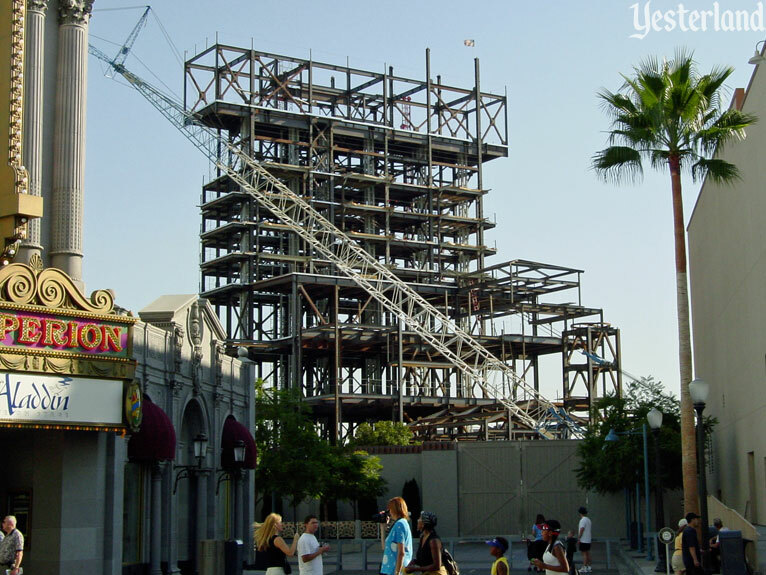 It’s February 8, 2002 at Disney’s California Adventure theme park. 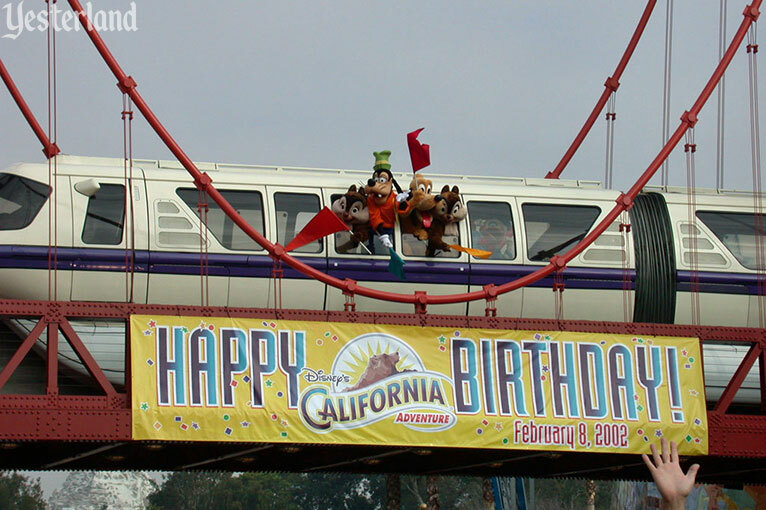 The park had its grand opening exactly one year ago. 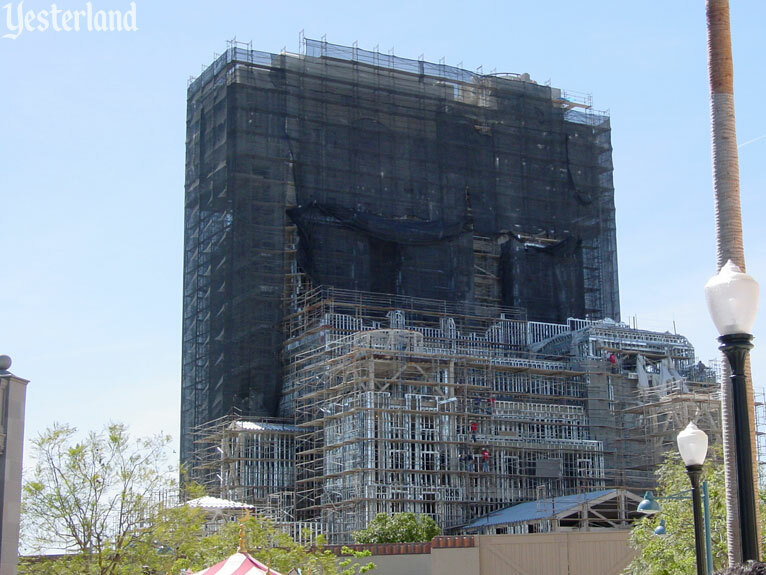 It’s not a secret that the new park has not met its business expectations. The national economy has been weak. 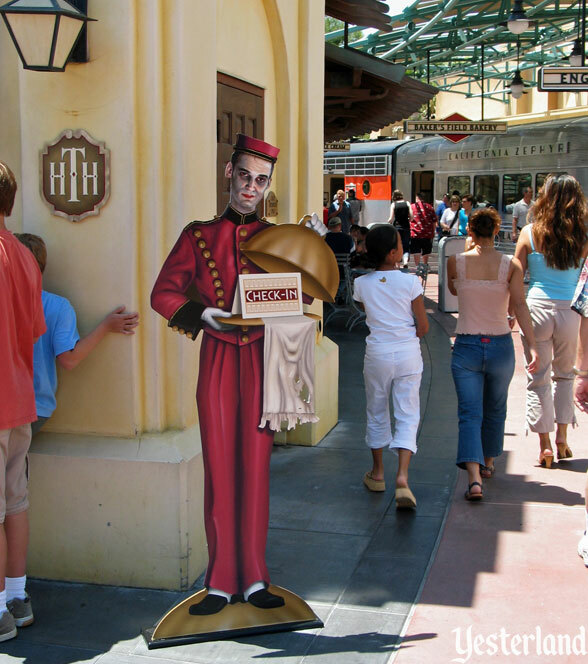 The 9/11 terrorist attacks occurred when the park had been open seven months, putting the brakes on leisure travel. But the real problem is the park itself. 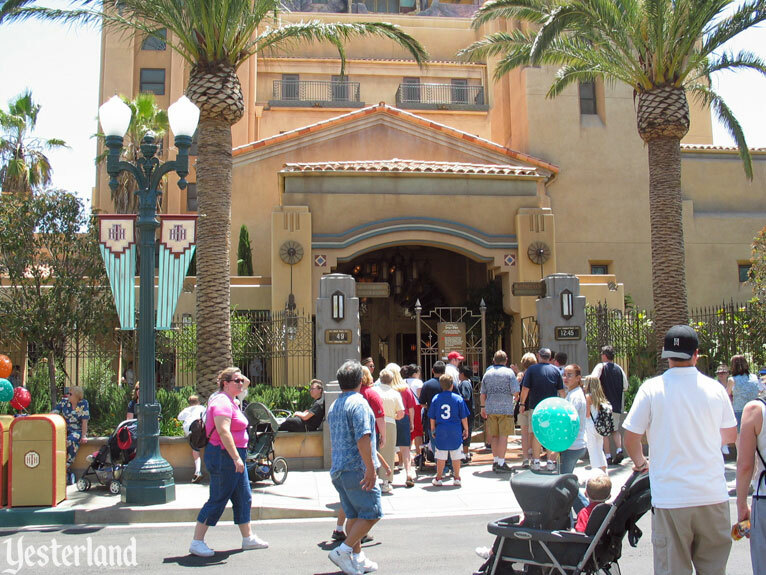 Guests continue to pour into Disneyland Park in far greater numbers than into its baby brother across the Esplanade. 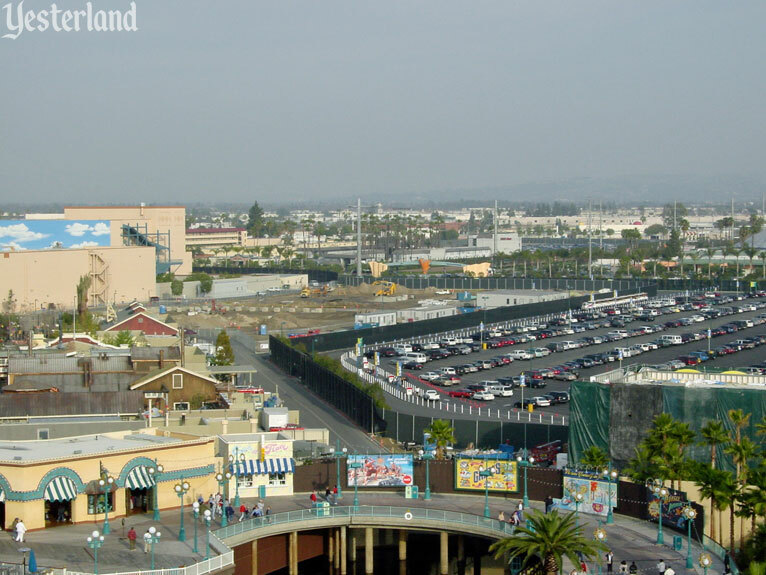 Executives have made quick fixes, such as bringing the beloved Main Street Electrical Parade to the underachieving park as Disney’s Electrical Parade. 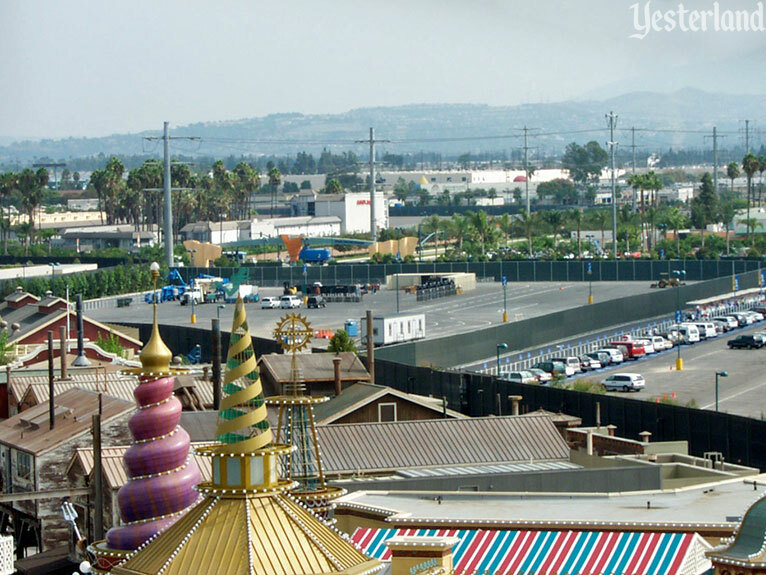 What this park needs now is more attractions—including at least one of “E” ticket caliber. There’s a First Birthday press event today—with news of expansion plans. 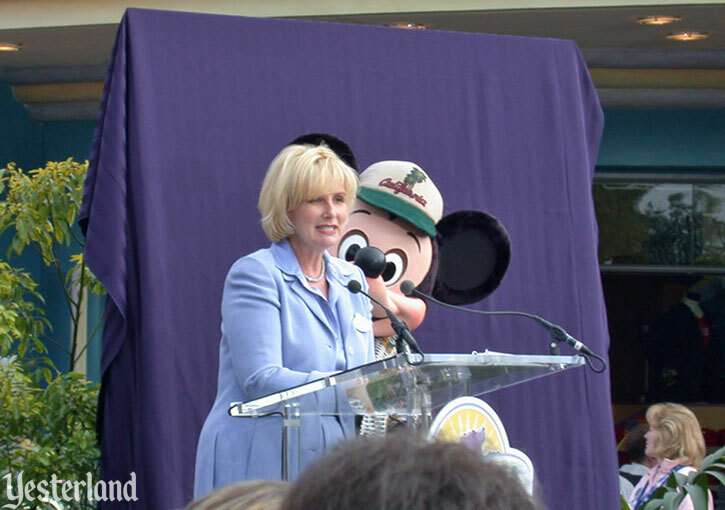 Cynthia Harriss, President of the Disneyland Resort, is announcing two major additions to the new park. 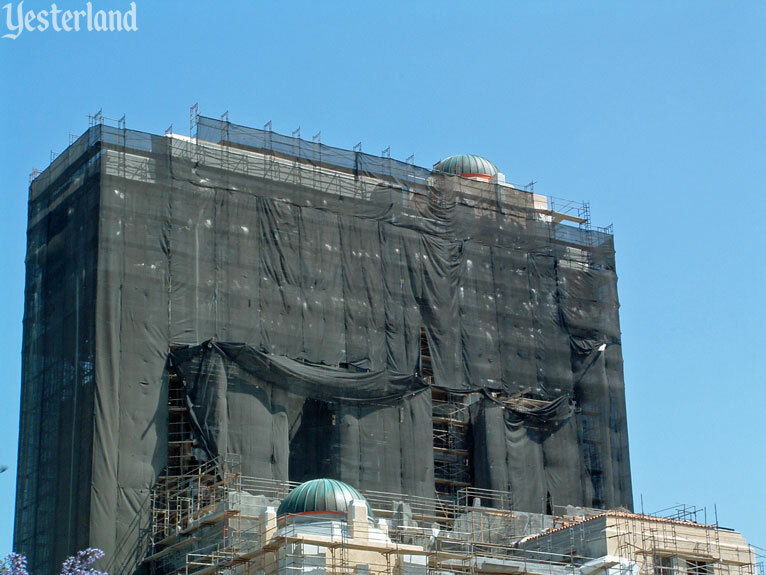 The first will be “A Bug’s Land” featuring “Flik’s Fun Fair,” opening fall 2002 for “the young and the young-at-heart.” The other will be a proven crowd-pleaser from Florida. 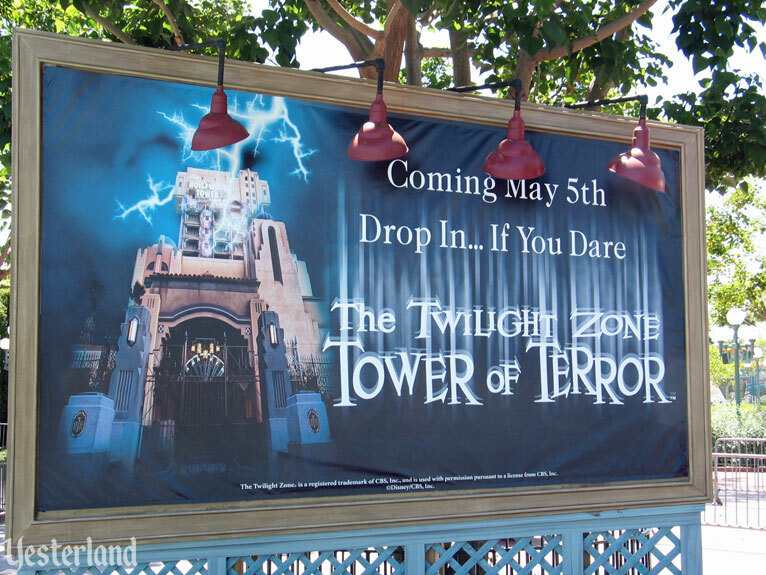 Also coming to Disney’s California Adventure, in the Hollywood Pictures Backlot area, is “The Twilight Zone Tower of Terror,” a California version of the chilling and thrilling supernatural adventure which has proven wildly popular at Disney-MGM Studios at Walt Disney World, Orlando, Florida. 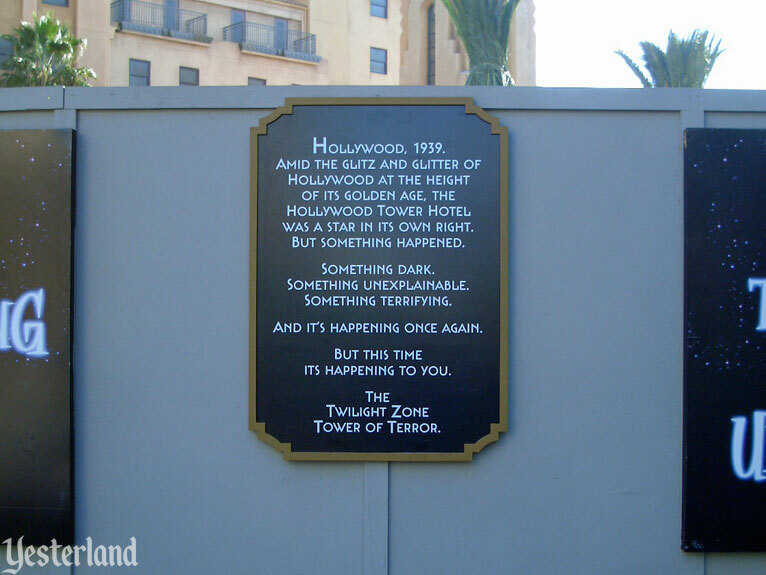 Inspired by Rod Serling’s The Twilight Zone, the attraction is set within the spooky halls of the desolate Hollywood Tower Hotel. 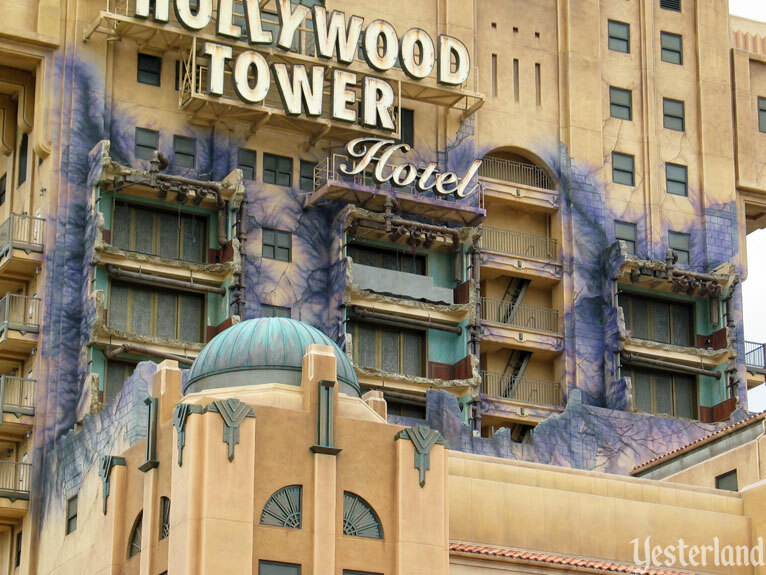 Guests are invited to retrace the steps of five previous visitors who disappeared “one dark and stormy night.” An elevator ride up into the Hollywood Tower is filled with strange apparitions and unsettling sounds, climaxing in a precipitous drop of… could it be 13 stories? 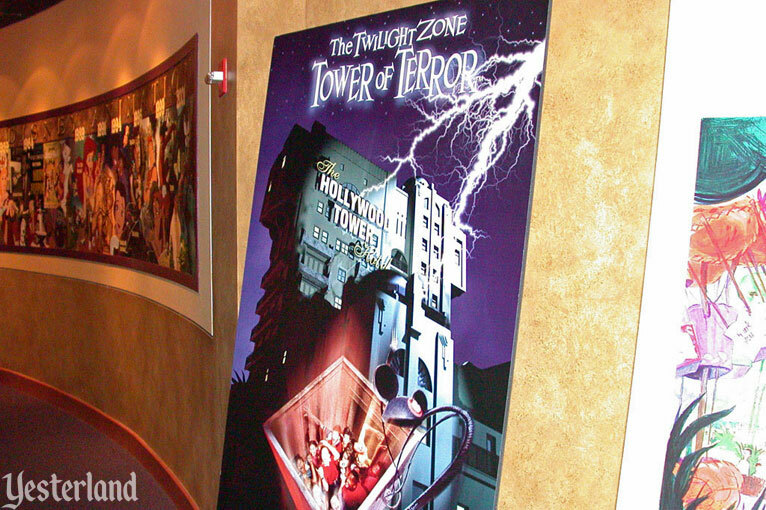 “The Twilight Zone Tower of Terror” will open in 2004 in Hollywood Pictures Backlot at Disney’s California Adventure. For those who have been paying attention, it’s old news. After all, the northern tip of the Timon parking has been blocked off since September 2001. What had been asphalt is now bare dirt. Site preparation is underway. 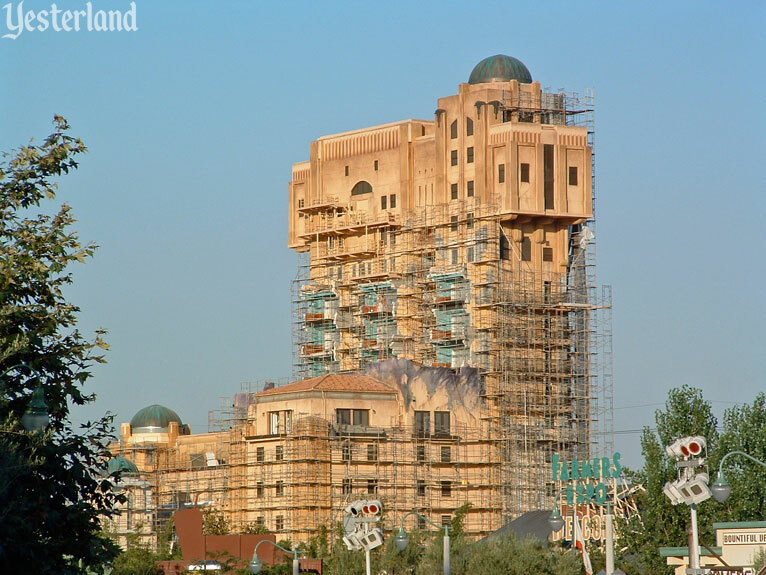 Disney has started construction on a Tower of Terror ride at its new California Adventure theme park. 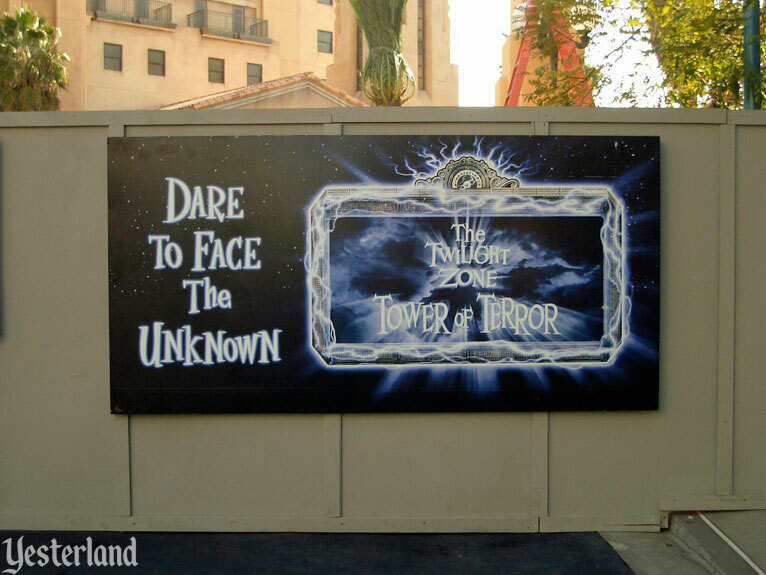 The ride is like the popular Twilight Zone Tower of Terror ride at Disney World in Florida, built in 1994. 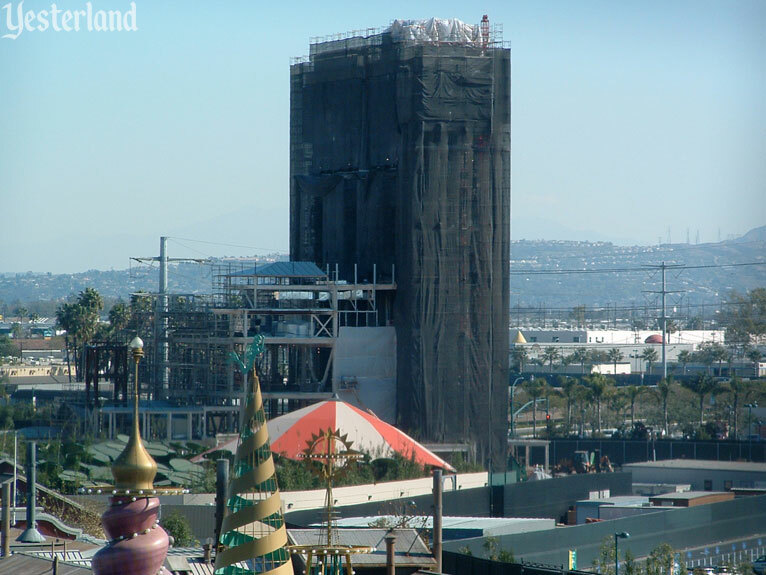 However, because of the terrorist attacks on New York’s World Trade Center towers last week, the Anaheim version of the ride will be called something different. 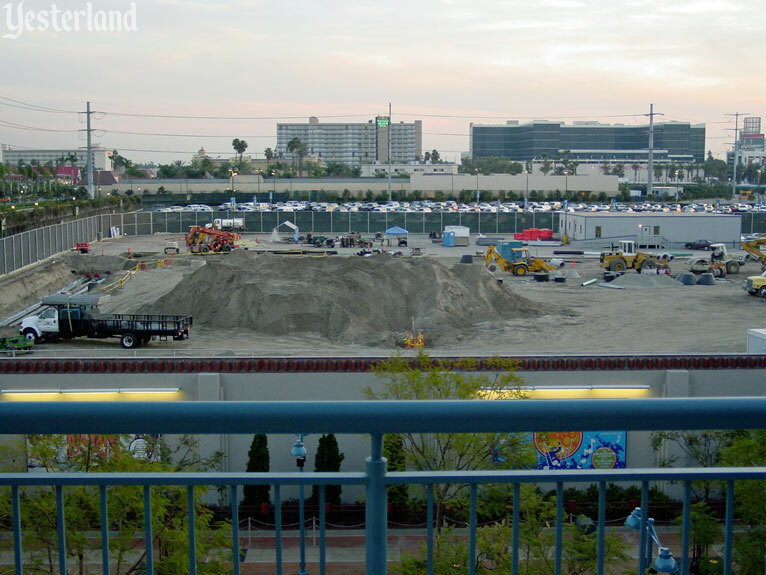 According to Disney watchers, construction is under way. But that was back in September 2001. 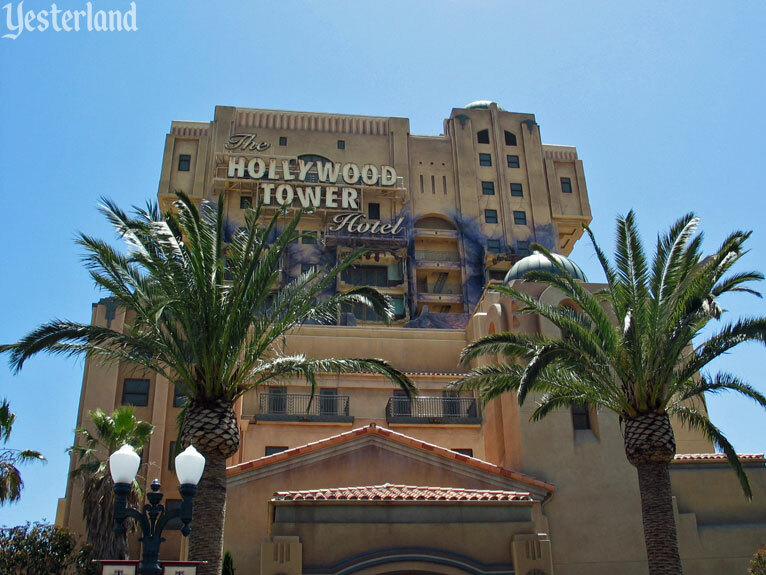 With the official announcement today, we know it will be The Twilight Zone Tower of Terror after all. This should be a popular attraction for many decades to come. 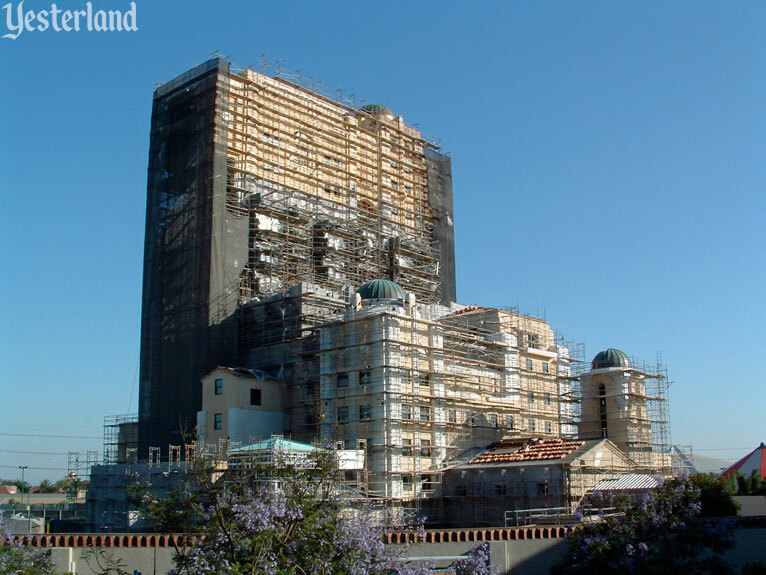 Over the course of five years, Tony took 945 photos of the The Twilight Zone Tower of Terror—its construction and the finished product. 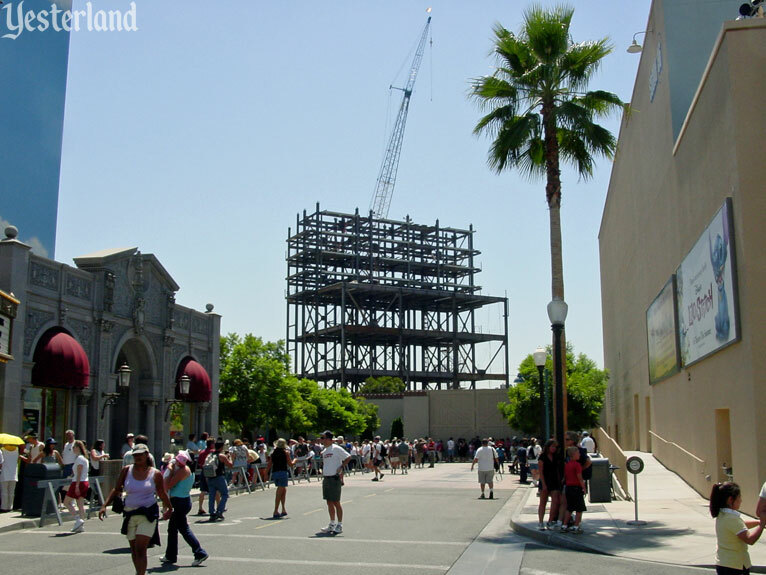 The rest of this article consists of selected photos from various angles showing how the attraction became a reality. 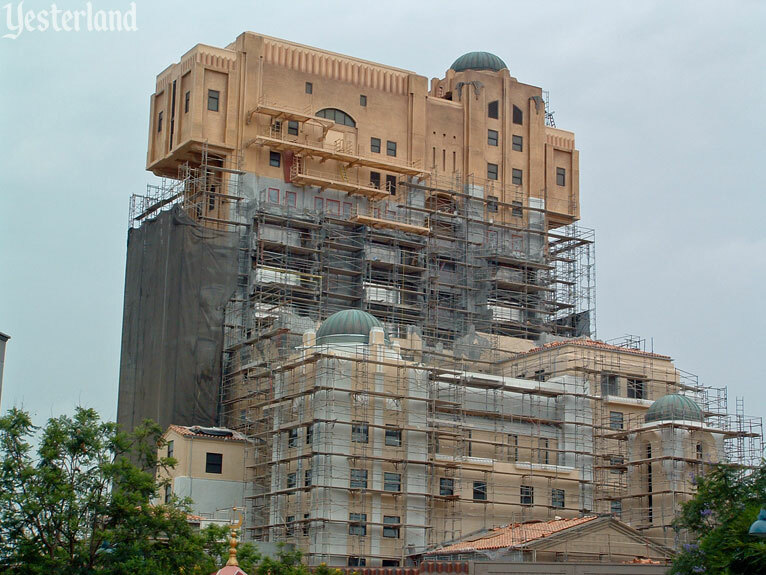 Of course, there’s more to The Twilight Zone Tower of Terror than its construction. 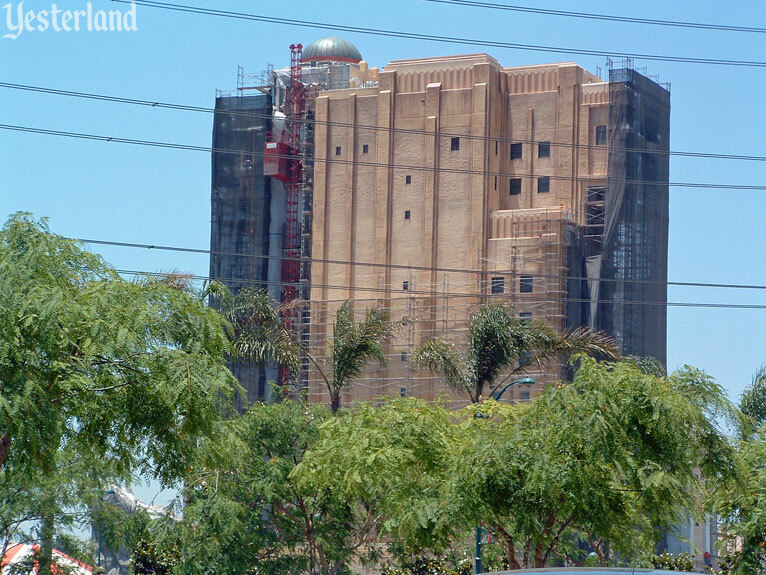 There’s also the experience of going on the ride, shopping at the gift shop, and watching the 2017 transformation into Guardians of the Galaxy — Mission: BREAKOUT! 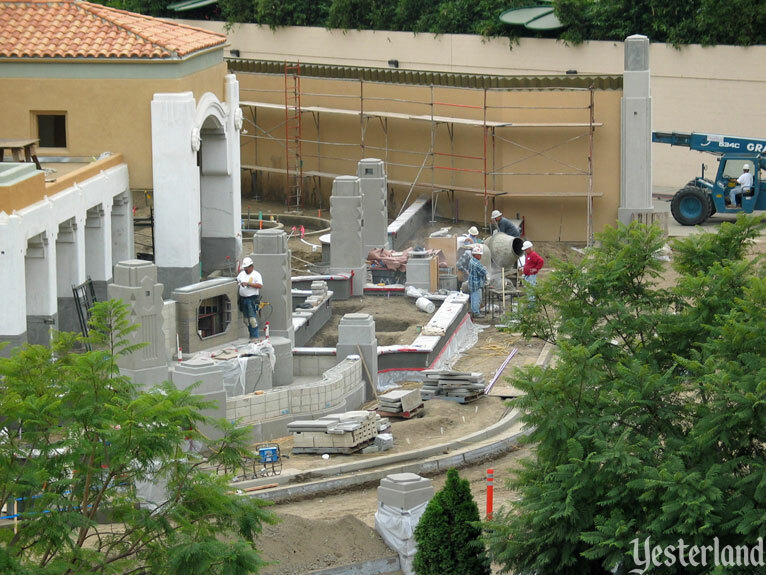 But those will be subjects of future Yesterland articles.